Can Gratefulness Lead to Happiness? Does being grateful give you more happiness? YES it does. And there is research on it! Studies show that consistently grateful people are happier and more satisfied with their lives. They even feel more physically healthy and they exercise more. Gratitude gives you freedom from envy. Because you are grateful for what you have and not consumed with wanting more or something different, it is easier to live within your means and also to be generous to others. Gratitude also connects you to the natural world because the easiest things to feel grateful for is the beauty of nature. One of my favorite researchers and author Brene Brown describes the link between gratitude and joy in her book Daring Greatly. Happiness and joy are different experiences. No one feels constantly joyful or constantly happy. Happiness is tied to our circumstances whereas being joyful is tied to gratitude and spirituality. We all need both happiness and joy. We would all like to experience more happiness, but how would it feel to live our lives from a place of gratitude and joy? This being said … how many of you feel like you already know this? I certainly did. Knowing that I have so much to be grateful for, I still found myself getting frustrated and upset over things that, in broad scheme of things, probably didn’t matter too much. In all my readings from many researchers and experts, I found some commonality that they all talked about. Gratitude must be made a practice. Clinical psychologist and counselors often recommend that patients who are in the recovery process start with gratefulness. I started with a simple and easy way to incorporate gratitude into my life. I wrote down three things to be grateful for everyday. After keeping these logs for at first a few weeks and then over the year, I noticed something magical happened. On a day when I would have found everything to be going wrong, I suddenly found myself to be in a much calmer state of mind. One morning at work, none of my equipment would start. I had a full load of patients and no matter who I called or what I tried there was no way of starting it. One of the main pipes in the office had broken and there was no repairing it until later that day. I somehow found myself being happy that I could leave work early and enjoy the beautiful weather. I also thought about how lucky I was that my patients understood and were willing to reschedule their appointments. Later that same day, I also had a flat tire. I found myself happy that I didn’t have the kids in the car and could just wait and catch up with some reading while the tire was being repaired. I was pleasantly surprised by how this simple practice had shifted my thinking. It has now become a bedtime game with the kids. We try to end the day by saying 3 things that each one of us is grateful for. There have been some really funny ones that the boys have come up with that are silly and make us laugh. The one that just melts me into a puddle of pure love is when they say they are grateful for mommy or daddy. Brenee Brown’s data clearly states that we cannot give our children what we don’t have. Living life from joy and gratitude made me feel healthier than I have ever felt in my entire life. I no longer felt the need to think about what others would think of me. I became more comfortable and confident just being the way I am. If our children can learn this, they will no longer feel that often intense need to fit in. One of the common reasons many children and teenagers turn to drugs, alcohol or other addictions is not feeling like they are enough. Practicing gratitude can teach them that they ARE enough and their life is enough. There are many benefits to the practice of gratitude. Try it out!! Do a 21-day gratitude challenge. Start a Facebook group and have friends comment. Do it in your family or at work! 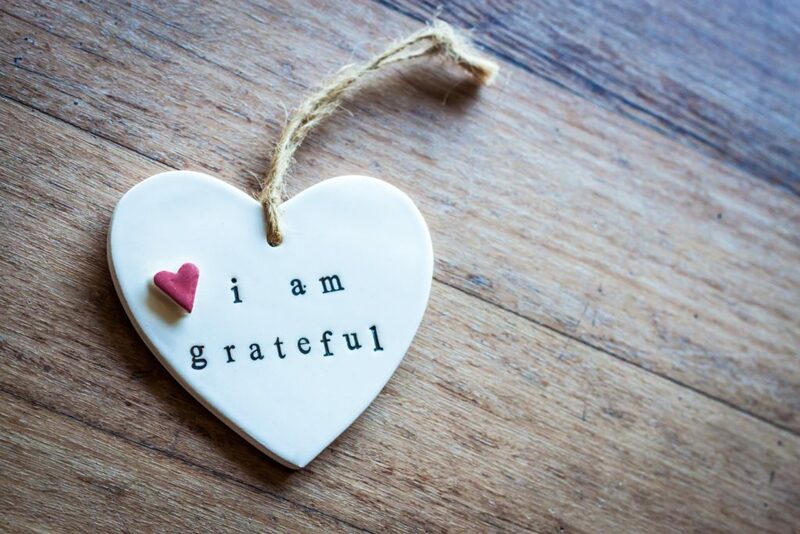 See what the practice of being grateful can do for you! !